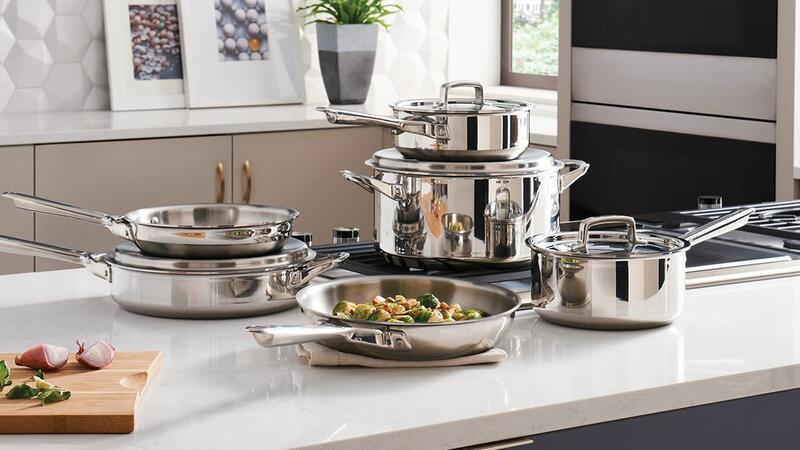 Wolf Gourmet cookware blends high performance multi-clad stainless steel with elegant, ergonomically designed handles for an unequaled combination of form and function. All of our cookware is crafted in the USA and designed to last a lifetime. The robust seven-ply construction provides faster heating and excellent heat retention. 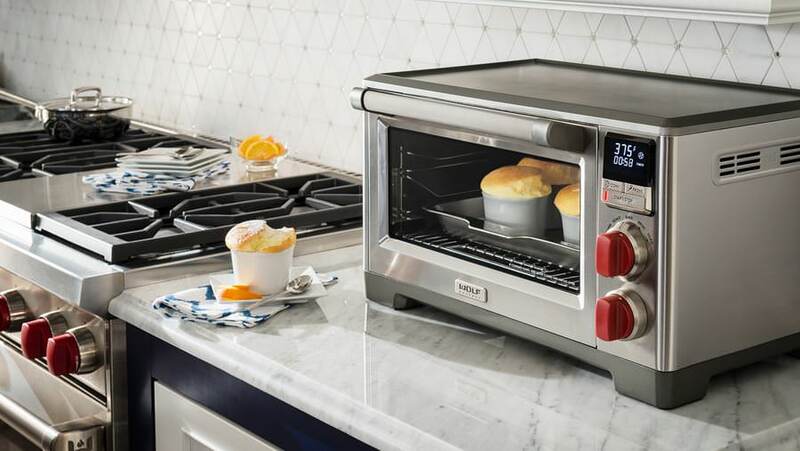 This proprietary construction also eliminates hot spots and goes from cooktop to oven effortlessly so your fresh ingredients cook evenly every time. 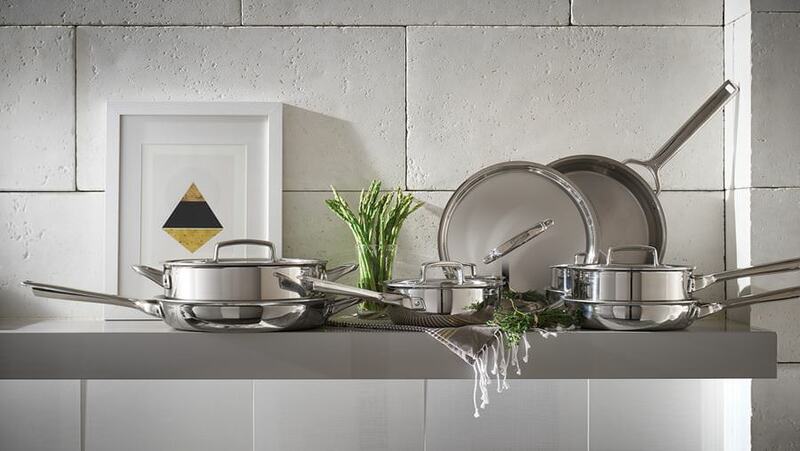 Each piece of cookware is the same thickness and constructed with all seven layers extending fully up the sides to heat food evenly from bottom to top. All seven layers extend fully up the sides of each pot, pan, and skillet for the most evenly cooked sauces, stews, soups, risotto, and grains. An aluminum core is surrounded by layers of pure aluminum and additional layers of durable 18/10 stainless steel providing high-performance results every time. 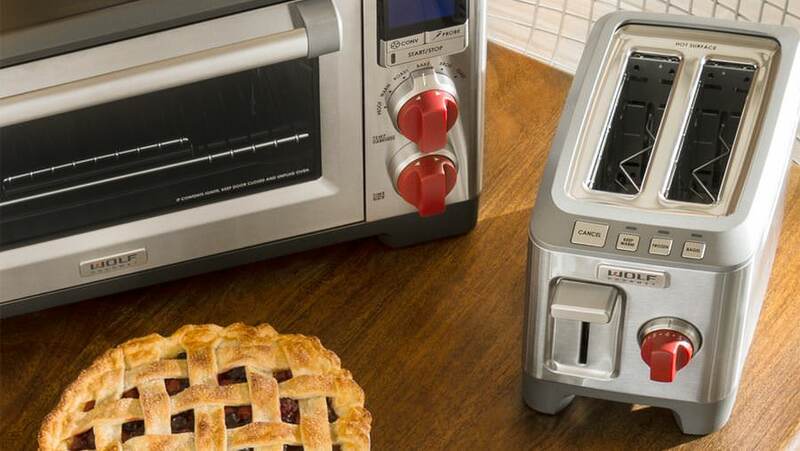 The cooking surface is non-reactive and all pieces are oven safe to 500F. Equipped with sturdy, ergonomic handles that fit a variety of hand sizes, this high-performance cookware is very comfortable to use. 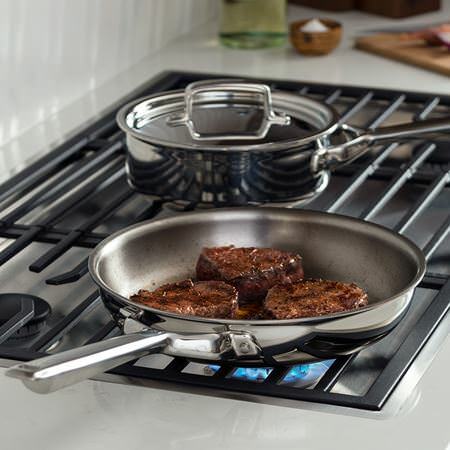 Helper handles on the sauté pan and 11.5 inch skillet make transferring cookware to the oven much easier. The tight-fitting lids have large, easy to grip handles. Beveled walls keep ingredients from sticking in the corners so your delicate sauces are silky and smooth, handled with the care they deserve. 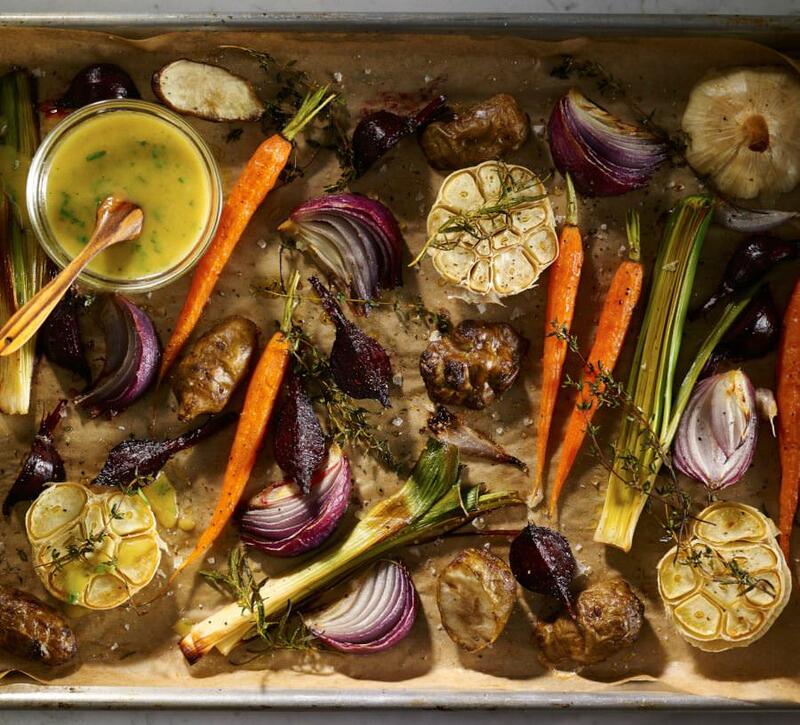 When you’re ready to serve, the stainless steel cooking surface releases foods just as expertly as it cooks them. 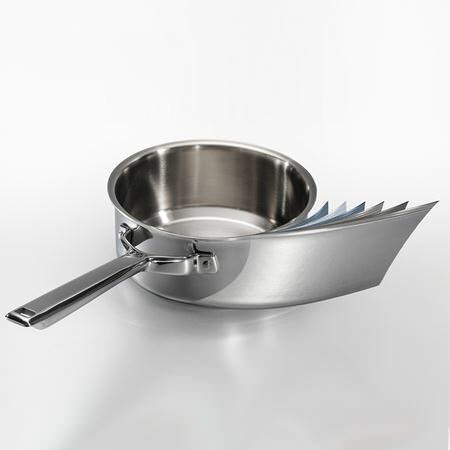 Gently flared rims facilitate drip-free pouring of sauces, reductions, or broths. 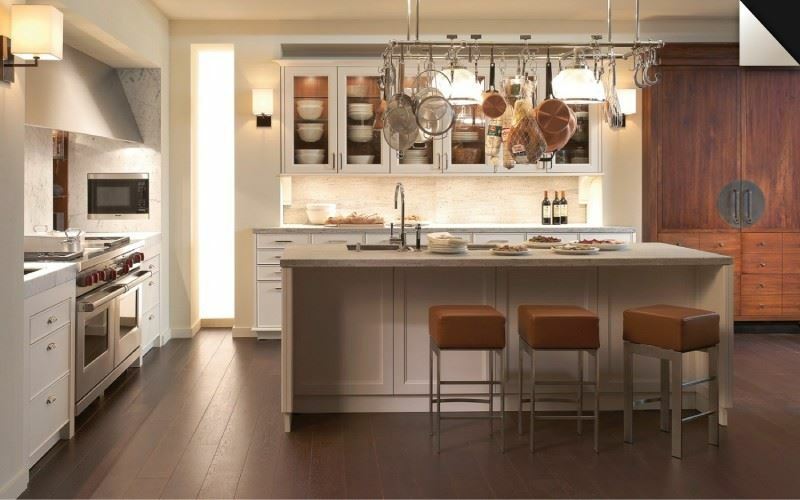 The stainless steel cooking surface will not react with food and can be used with metal utensils. 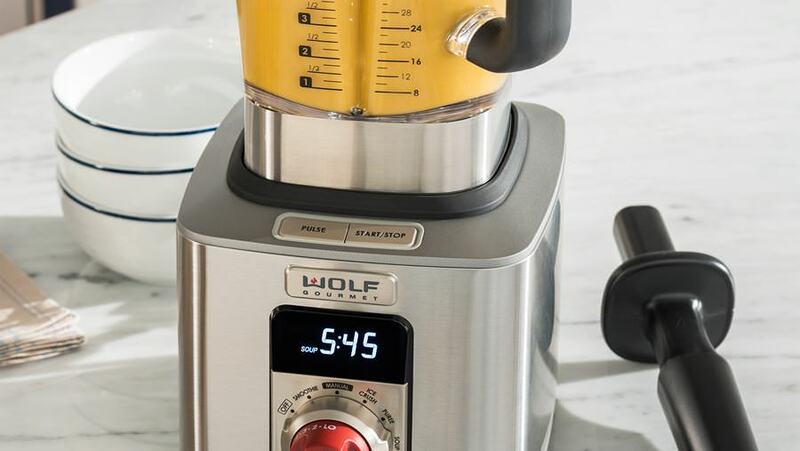 Wolf Gourmet cookware is crafted with great attention to detail and an uncompromised dedication to creating exceptional products. 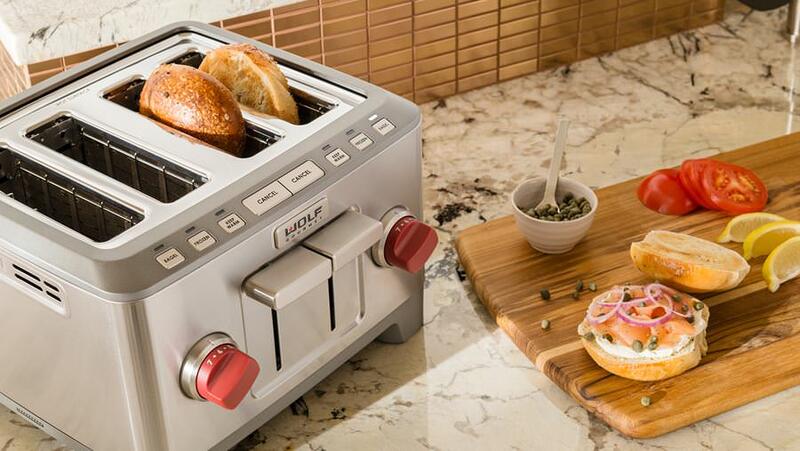 A lifetime limited warranty ensures years of confidence in the kitchen. 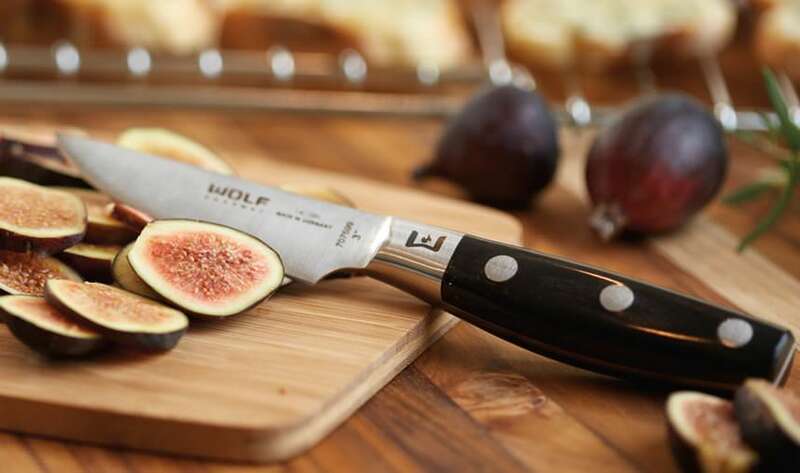 Wolf Gourmet knives are among the sharpest, most durable knives in the world thanks to a blend of high-end materials, thoughtful design and German craftsmanship. Every knife is forged from a single piece of high-carbon stainless steel, which has been proven to maintain a razor-sharp edge over time. Developed with the exacting standards of professional chefs in mind, Wolf Gourmet knives are sure to become your trusted culinary companions. What gives Wolf Gourmet knives their razor-sharp cutting edge? 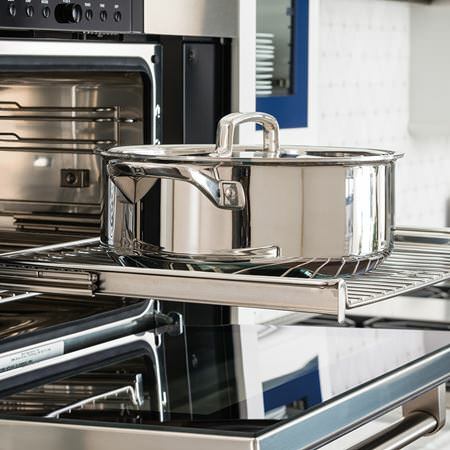 The secret lies in our signature stainless steel, which has excellent edge performance, hardness and corrosion resistance thanks to its chemical composition. While it’s a superior material, few others are willing to invest the time and effort to forge a knife from this particular metal, making the razor-sharp, long-lasting 12.5 degree edge uniquely Wolf Gourmet. To ensure a premium fit, finish and feel, Wolf Gourmet knives converge modern materials with master craftsmanship. Each one is individually evaluated, hand-tuned and finished by German craftsmen, whose training relies on more than a century of experience, innovation and tradition. You’ll notice the difference, from the moment you take the knife out of its box to the time you’re serving the finished meal. Wolf Gourmet knives are engineered for unmatched performance day in and day out. 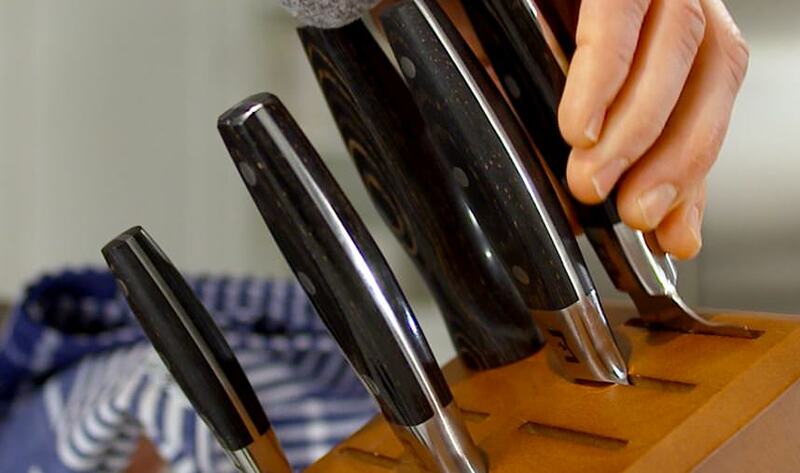 Each knife is created from a single piece of revolutionary stainless steel, forged into a full-tang blade, then triple-riveted to the Pakkawood handle. You’d be hard-pressed to find another knife crafted with this combination of features, which add up to a collection durable enough to last a lifetime yet requiring minimal honing and sharpening. 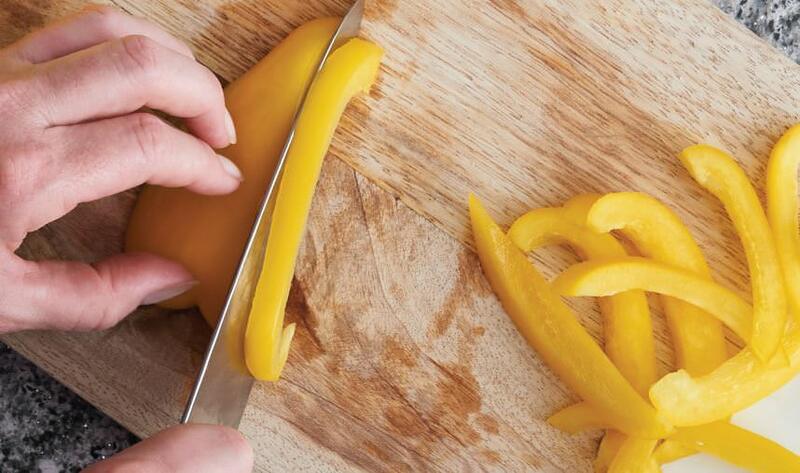 Wolf Gourmet knows that a sharp, durable knife isn’t nearly enough if it’s not comfortable to use. That’s why we set out to create a knife that fits securely in the right or left hand, no matter what kind of grip you prefer to use. 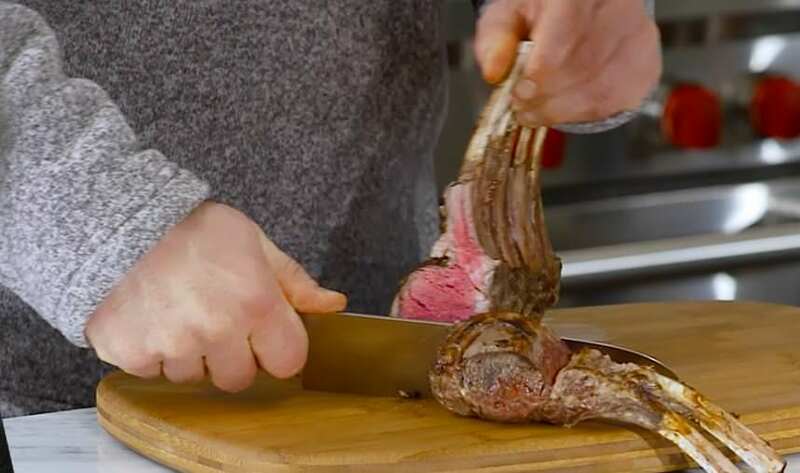 Each knife’s patented handle shape does just that, giving you the advantage of balance, precision and complete control when using your Wolf Gourmet cutlery.